Sacha Baron Cohen is putting his money where his mankini is. For those who have never heard the term: think a bathing suit in the shape of a slingshot, just as its other name, the “sling swimsuit” (don’t Google it at work), implies. It’s essentially a skimpy one-piece that usually covers even less than a bikini does. 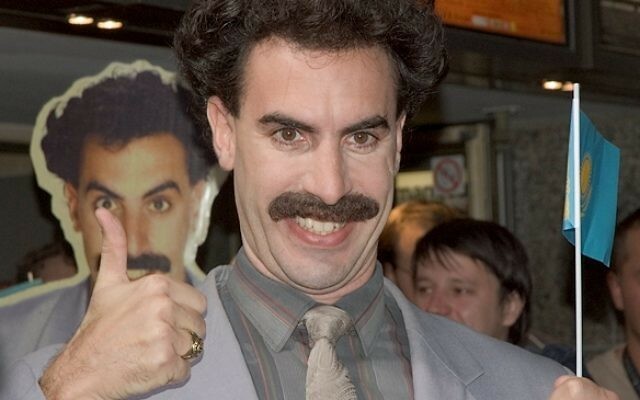 Cohen popularised the suit when he donned a bright green one in the 2006 movie “Borat,” whose title character is a nonsensical reporter from Kazakhstan. 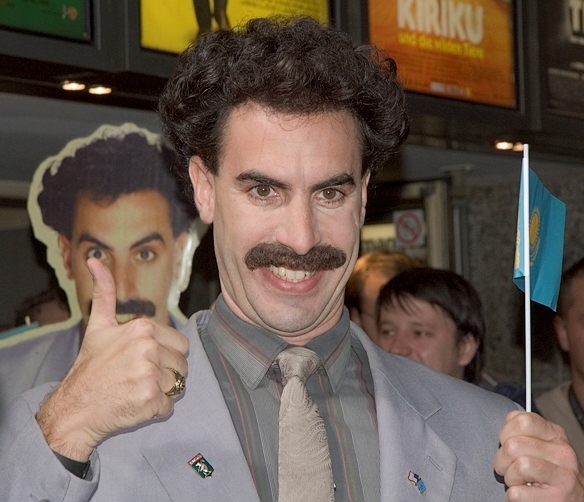 Last week, a group of six Czech tourists got into trouble in real-life Kazakhstan for wearing Borat-style mankinis. BBC reported Tuesday that they were fined the equivalent of about £50 ($67) each for indecency and “minor hooliganism” after wearing the suits in the capital city of Astana. Baron Cohen clearly appreciated the stunt. In a Facebook post Monday, he said he would cover their fines, citing the BBC article. “To my Czech mates who were arrested. Send me your details and proof that it was you, and I’ll pay your fine,” the Jewish actor wrote. He included a timely new email address: arrestedforwearingyourmankini@gmail.com. “Borat,” whose full title is “Borat! Cultural Learnings of America for Make Benefit Glorious Nation of Kazakhstan,” was banned in Kazakhstan because it portrayed the country as sexist and primitive. However, in 2012 the country’s foreign minister thanked Baron Cohen for helping to boost tourism.